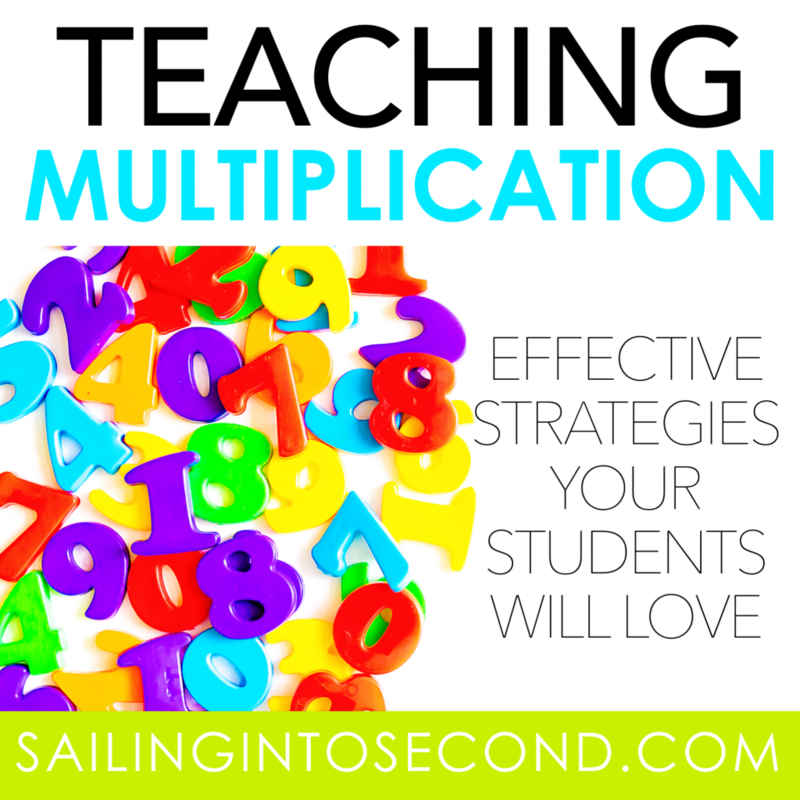 Multiplication is one of the hardest concepts we teach in 3rd grade. Kids are either thrilled to start learning this concept, or terrified it will be too hard for them. I have a few strategies or math models I use with my 3rd graders that have proven to be effective year after year! 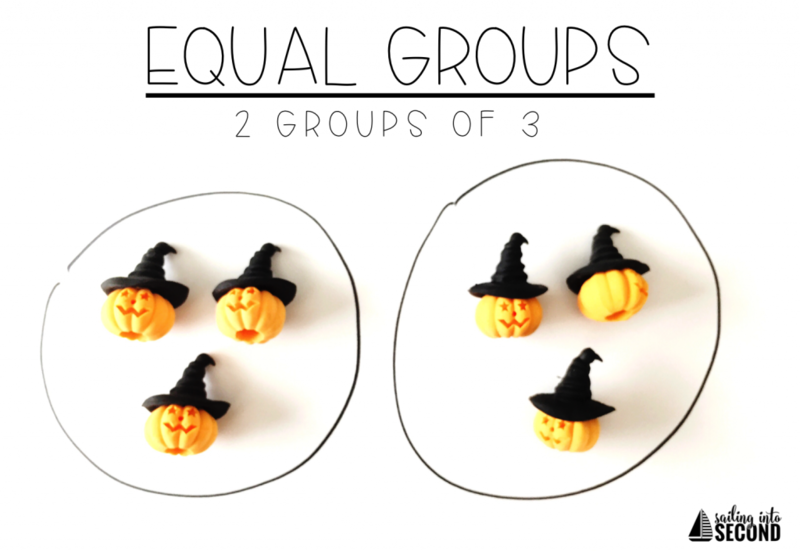 Creating equal groups using manipulatives or drawings is one the first multiplication strategies I use with my students. Students group the objects together like shown above. If the math fact was 2×3, they would group the objects into 2 equal groups of 3. We teach students that the first number in the math fact, or factor tells them how many groups they’ll create and the second number or factor, will tell them how many will be in each group. Then students can skip count to find the total amount or product. 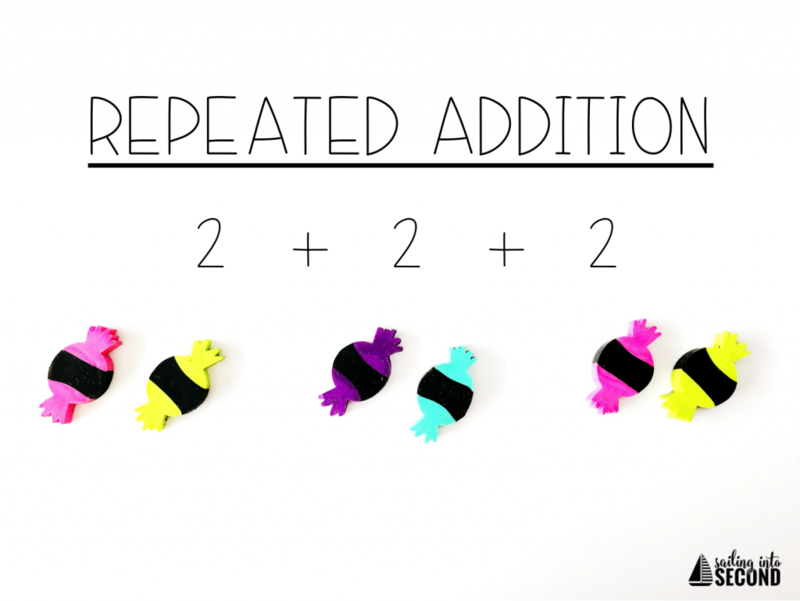 Repeated addition is the second multiplication strategy I introduce to my kids. Like equal groups, this strategy requires students to add the same number over and over again to find the total sum or product. In the picture above, students added 2+2+2 to find the answer to 2×3. Having students create an array to show a multiplication facts helps develop a deeper understanding of multiplication concepts. 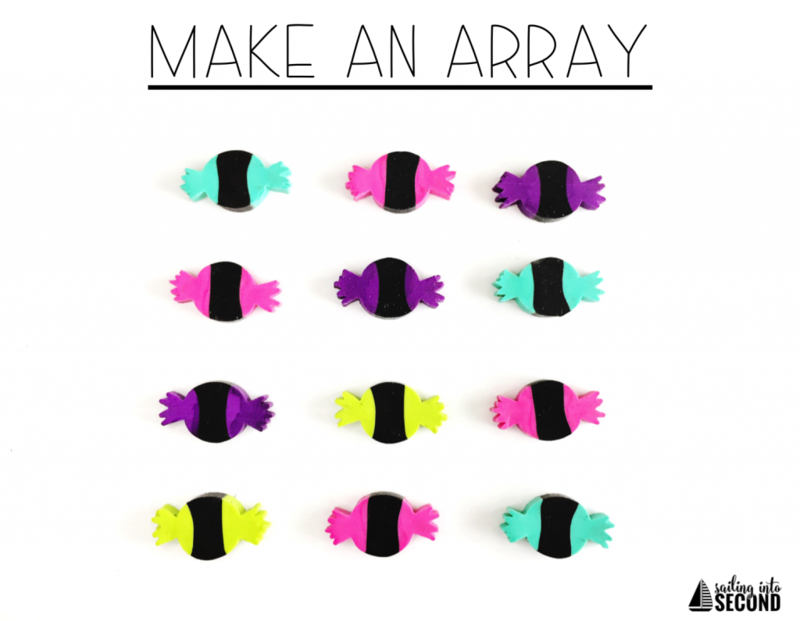 An array is made by arranging objects or manipulatives into rows and columns. Each column needs to have the same number of objects as the other columns, and each row needs to have the same number as the other rows. The array shown above represents the multiplication fact 4×3. The first number in the multiplication fact represent the rows and the second number represents the number of columns. One of the last multiplication strategies I teach my kids is using a number line to find the product of a math fact. If students need to solve 2×3, the factors tell students how many hops or jumps they’ll need to do and by how much. For example, the 2 would tell students to hop twice. The 3 tells students to hop by increments of 3. They’d land on 6, so 2×3=6. 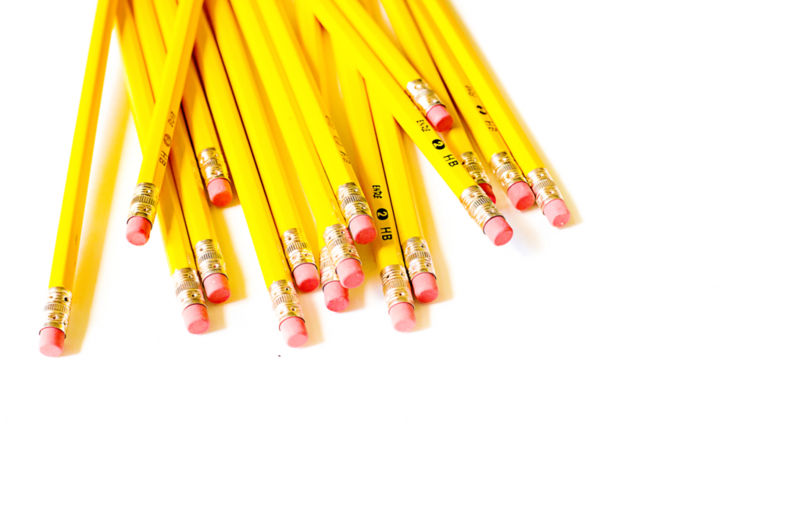 This strategy is a bit trickier than most, but some students prefer this method to others. If students have difficulty skip counting or drawing their own number lines, this might not be the most efficient strategy. Overall, these 4 strategies have helped my 3rd graders have a solid foundation of multiplication. Each strategy builds upon the next and give students the choice to use whichever works best for them. Ultimately, my goal is for them to use the most efficient strategy to solve their math facts. These are great ways to check their answers for accuracy too! What strategies work for you kids? I’d love to hear all about them!